An easy-to-navigate mid-tier VPN service with a range of VPN servers around the globe. Simple clients, with no-log policy topped up with 24/7 customer support. VIP servers for torrenting and gaming offers lots of encryption options packed in different pricing plans, and a 7-days free trial coupled 30-day money-back guarantee. Strange logging policy of keeping the last 20 logs with no 3-months plan for extended usage. Ask lots of information upon signup and uses users’ email to sign in. Tedious to connect many servers, slightly expensive with a restrictive refund policy, leaked DNS test to the Android client. AstrillVPN is feature-rich with millions of trusted users worldwide. This VPN ensures to keep your information confidential, keeping your connection secure with a range of protocols with no bandwidth limitations. The 24/7 support offers is fast and quick, but requires more than the basic information while signing up. At first glance, you will find Astrill, to be a high-end VPN service with all the perks you would expect from a VPN provider. It’s a VPN with servers located in 49 countries; isn’t ideal enough for spoofing and unblocking purposes. All the client is loaded with features, allows you to toggle many military-grade encryption options and has IPv6 leak protection, DNS leak protection, and a kill switch, for your weak connection. Astrill is compatible with all your favorite screens. You will find the client little complicated if you’re new to a VPN world. However, most of the settings in place by default. Astrill VPN have two categories, depending on your wallet and needs -personal and business-related. Be it anonymous surfing, unlimited bandwidth, bypassing censorship, 24/7 support, secure browsing, unknown payment options, or anything you expect from a top-notch VPN provider, Astrill has everything in all plans including a 7-day free personal plan. Astrill has more than 330 geographically diversified servers with more than 89,000 IP addresses, enabling unlimited bandwidth. The servers are spreading across in 49 countries including the US, United Kingdom, Netherlands, Germany, Portugal, Spain, France, Italy, Russia, Australia, Japan, Brazil, and many more, with more servers regularly adding in the list. Within the US, you have a range of 27 servers present both in East and West coast. All in all, the selection of server location is pretty good with Astrill. That last sentence is simply clarifying that they’re going to use your data to target ads, just other free VPNs. Astrill does keep the last 20 connection logs, including connection time and duration. The more connections you create, only the current 20 remains in their system, while others get deleted. That is quite acceptable though, but using data to customize ads, is something that nobody can stand with. Privacy is the sole reason to go for a VPN service. Nothing else works in case the available encryption or logging policies aren’t up to mark. AstrillVPN offers SSL 256-bit encryption on all the available plans. *OpenWeb: let me remind you that in both the Windows and Android clients (the ones we tested), OpenWeb protocol selected by default. 03Since this is an unknown and proprietary encryption protocol that we rarely know so, we should be careful regarding privacy and security. Upon inquiring, Astrill informed that it works as a proxy service in the browser. However, you don’t need to install as an app in your browser – so whether this works for privacy is a quest to uncover.anyways, this source is closed, and proprietary certainly doesn’t bode well. The dealbreaker is that Android client doesn’t have options. Encryption is either StealthVPN or OpenWeb with AES 256-bit, without a handshake and hash auth – it’s still not as strong as it should be. Stealth Mode is good at disguising your VPN connection to bypass the GFW, but it’s pricey man! Sadly, AstrillVPN doesn’t offer Perfect Forward Secrecy on any of its clients. The critical problem VPN providers are facing these days that is identity leak via the DNS Servers users’ use. To combat this issue, VPN providers are providing their DNS servers. Astrill has the option to incorporate IPv6 leak protection, DNS leak protection ( both are turned on by default) and WebRTC IP leak protection. The best thing is that DNS leak protection is there in Windows client and work pretty well. Neither DNS leaks nor WebRTC leaks were detected using ipleak.net. But, this is not true with the Android client; unavailability of OpenVPN as an option and for this AstrillVPN review, we tested and faced DNS leaks, though it was unexpected from a reputable VPN. Astrill offers a kill switch. To fine, go to Settings > Privacy > Internet Kill Switch. As soon as you select the option, your cyber protection wall extended and start protecting against VPN dropping and sending unencrypted traffic to your ISP. The kill switches instantly terminate your internet connection until the VPN connection is reestablished. This is an exclusive feature that only the best VPNs have. Astrill holds the claim that their speeds are incredibly fast. For the sake of review, the team at ReviewsDir tested the speed threshold. The result is mixed; the starred servers never connect, and it took a while to find the fastest server. The noticeable speeds drop observed but acceptable for both the US and the UK servers. Here you go the results of our speed tests while using Astrill on US and EU servers. These speeds are pretty good! The upload speed for both servers needs some improvement, but these results are far better than some other VPNs on the market. Video Accelerator & Web Cache; Now enjoy fast streaming to watch high-definition videos in services such as YouTube, Hulu or BBC iPlayer. This feature eliminates unnecessary buffering. NAT Firewall; AstrillVPN offers firewall to protect your expensive devices from malicious and corrupted web traffic, along with fully customized IP addresses and port forwarding. Silent Intelligence Gathering; Business intelligence is the backbone of a company’s success, only if your competitor isn’t aware of it. To aid businesses in this regard, Astrill VPN hides researchers’ movements and allows them to indulge into competitor websites and social media platforms unobtrusively. Site and app filter; with Astrill, you can specify applications and websites to be protected with a VPN connection, while rest go through your real IP. Smart mode; this mode allows you to tunnel your international web traffic through a VPN, keeping the local websites at your real IP. VPN Sharing; Now, share your VPN connection using your PC as a VPN router to connect other devices to your network with no additional hardware. Anti-Espionage Solution; Industrial espionage is the recent threat that the business industry is facing. With Astrill VPN, you can restrict your competitors to gain access to your business practices. The application also prevents governments and ISPs to snoop in your business. Vigorous Accounts Controls; Do you want to modify your users’ rights from the control panel? AstrillVPN is at your service. This allows businesses to add or remove employees to make sure that new hires are instantly protected upon logging-in and leaving employees are no longer access their accounts after the layoff. AstrillVPN is an ideal in case you need to scale up your subscriptions in the control panel. Astrill is a VPN app that claims to work in China, but with a huge hit or miss in performance. Maybe two years ago, this VPN used to be fast, but because of the increasing users on the given servers, get targeted by the Chinese censorship. As a result, speeds throttled, and many users have noticed the slowdown — particularly in the past few months, turned AstrillVPN a mixed bag as far as reliability is concerned. It appears that the China great Firewall is targeting Astrill, rendering the OpenVPN protocol useless. Users have been reporting slow VPN service (or at times even totally unavailable) in the past. However, currently, Astrill seems to work fine with no significant outages. However, if all you care about web surfing on your computer, then Astrill still be a good option. The OpenWeb, Astrill offers is quite fast! But not for some desktop apps including torrents, Twitter, Instagram, etc. Want the real-time fastest possible speeds? Give Astrill’s VIP addon, a try, to connect directly to the specialized servers in China. This results in faster download and upload speeds and lower latency (for online gaming, video and voice chat) keeping the speeds, pretty decent, but at the cost of $10/month. Try the addon for three months before committing to a full year of VIP servers. Astrill confidently claims that Netflix, Hulu, and the BBC players are all accessible with their VPN service; good news if you’re abroad. However, Netflix has gotten pretty well in detecting VPNs lately. To test their claim, we logged into a Japanese server and instantly received foreign titles. The real moment of truth appeared when I selected a title to view. The worst, Netflix detected the existence of a VPN and didn’t to access the title. How to Download and Install AstrillVPN? Click “Install”, next you will be asked to restart your computer (it’s recommended) to “Finish”the installation process. Signup with your email address, username and password wait for the confirmation email. To turn off the VPN and return to using your own IP address, just reversed the “ON” button. Sorry to say, the usability is not Astrill strongest point, in fact, it’s just like a flat-out bad and the most cringe is the desktop app requires a PC restart. AstrillVPN is compatible with almost all the leading operating systems and software including; Windows, Mac, Android, Linux, iOS and DD-WRT routers and devices. To remain on the list of top-notch VPNs, Astrill also offers VPN Clients for Windows, Mac, Linux, iOS and other Android devices. Astrill VPN also allows you to install the service on your home or office router. What we liked the most is that the Astrill VPN offers VPN clients for every personal device and operating software. However, Astrill believes in keeping the things simple and straightforward, provides familiar VPN clients for Windows, Mac, and Linux. The Windows VPN client is pretty cool. Once installed, the app will be in the notification area of your start bar. Right from there it’s quite easy to control all of its features; with a click on settings, all options come into contact. Here you can choose the desired level of encryption as your OpenVPN protocol. Toggle on the Privacy to know more about the kill switch and leak protection tools. With on OpenVPN protocol, you will see a mini lock next to the server location, to ensure that you are protected. To get the drop-down menu back, You will need to turn the VPN off. The settings and features can be a little daunting, if you’re using the VPN first time, but will be glad to with the defaults. For additional security, switch to OpenVPN. The client needs few clicks to connect or disconnect from the Astrill VPN network. For more control, go to settings and tweak at your convenience. The desktop app itself is a tiny window with jam-packed features; we wished there were fewer features and more space. The AstrillVPN app for Android is at the bottom of the platform options. It downloads instantly with easy installation. The not-so-good thing about the android client is that there is no kill switch and DNS leak protection, not even the level of encryption options available on the Windows client. The available encryption is StealthVPN rather than most recommended protocol, OpenVPN. Astrill iOS VPN Client is a one-click VPN solution to secure your mobile device; the traffic from all your favorite apps is protected with military-grade AES 256-bit encryption. Astrill iOS VPN client provides “Always On” mode – as your device connected to the internet, it will automatically connect to VPN. The client also supports “Smart Mode” – exclude local websites from VPN for faster access. So, don’t forget to get AstrillVPN protection when you use the Internet at public places – airports, hotels,… as your data gets easily stolen and misused by hackers, at such sites. While testing Mac client, we observed near-to-perfection yet smooth operation. The only strange thing was the limited availability of protocol selection; only Openweb, OpenVPN and Stealth VPN, are there to choose from. The other odd part was the unavailability of L2TP, PPTP, and Cisco IPSec. The website is simple, seemingly legitimate and easy to navigate, showcasing self-explanatory features with no flashy feel or attempt to sell itself exaggeratedly. At first glance, you will notice the login panel at the top, to get in touch immediately. The website has minimal options, majorly targeting more experienced VPN users and businesses. If you’re looking for a VPN for personal use, you might find lack of some basic features on Astrill’s website. Aesthetically, you will be pleased with the slideshow of several different graphics, changing every few seconds. The website is sufficed enough to download the client to your respective device, but need to search for their pricing plans and add-ons details will only reveal after you become Astrill’s member. Though it’s quite frustrating to the wall the information this way, still the website is convincing enough make a deal. Emails responded within a few hours, which isn’t a long time to wait. We were quite annoyed by delayed responses, but the staff was polite and answered all our queries. Sadly, not all of their tech representatives were highly knowledgeable about encryption options. However, the team was quick in making contact with developers to answer tech-related questions. For general queries, the team pulled together and walked us through the things we inquired, quickly and in a friendly manner. Additionally, Astrill has a knowledge-base on its website with answers to many common queries. You can also search to get your concerns clear. AstrillVPN has VIP addons that give you access to additional VPN servers to optimized speed and reduced latency primarily for clients in Asia and gamers. However, you need to buy traffic on these servers in bundles of 100GB / month, other than basic membership. VIP servers are connected to private networks directly to Asia. Latency (ping) on such servers is highly optimized that help these servers to perform exceptionally well for gamers. Reduced ping is necessary for smooth multiplayer online gaming. With a torrent VPN, you can encrypt and mask your Internet activity. If you are sitting in your room in a house located in an Arizona town, a reliable VPN makes you look like you are from southern India. Or China Or Ukraine. You already know what happens if you get caught while torrenting illegal content like a copyrighted video. It’s something that can be avoided if you use a VPN for torrenting. You are recommended to select a P2P VPN server before login. 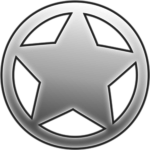 Servers marked with a star allows P2P/Torrent/eMule/eDonkey traffic. You need to enable Port Forwarding before you connect to OpenVPN/StealthVPN. Find Port Forward in settings and get it activated. To improve performance and prevents any possible conflicts on the network, disable UPnP port mapping on your modem/router as well. Most of the people look for the USPs before investing into anything. The VPN service providers also hooked the users’ interest in mind before working on their services. Astrill VPN also provides a 7-day free trial so that you can get ample time to test their claims. You will be entitled a free version, no matter where you live. In case your needs are not thoroughly entertained, you can contact their Customer Support anytime to ask for a refund. Even though the provider makes sure that you enjoy maximum benefits of their services, the refund requests accepted warmly. 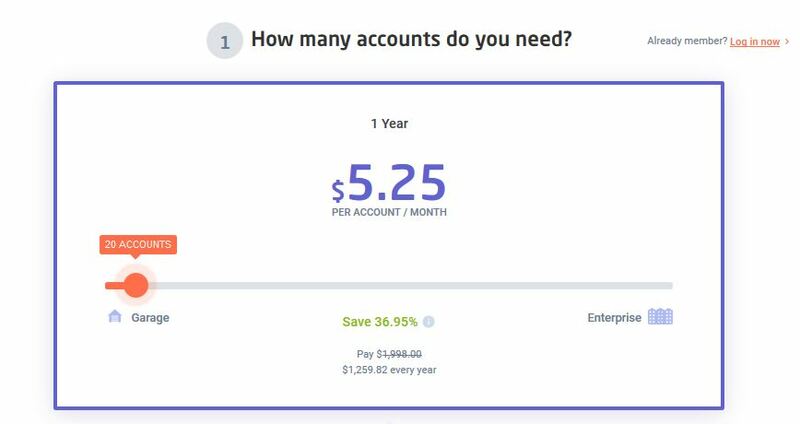 Also, there is a money-back guarantee for you, but with a twist; you will be refunded only if you haven’t use the seven-day free trial, otherwise forget your dollars. 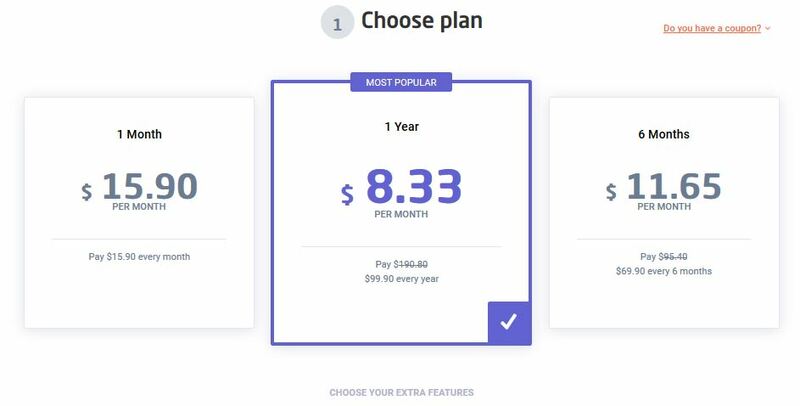 Though this is quite logical at their side, as they believe that you have thoroughly tested the service already, before buying a subscription. For this matter, we recommend you to don’t go for a year’s subscription in case you think you might change your mind. Astrill provides many payment options using credit/debit cards. The list includes Visa, MasterCard, Switch and Solo, American Express, Discover, Diners Club, Maestro, JCB, Dankort, CartaSi, Carte Bleue, PostePay, Euro 6000, and UnionPay. The provider also accepts eWallet, including PayPal and PerfectMoney. Thanks to the service provider for accepting via AliPay, WechatPay, Perfect Money, BitCoin and bank wire transfer. You must be thinking that paying with BitCoin keeps you anonymous, but except for an unfortunate fact, it’s not. Reviewing AstrillVPN was altogether a good experience with little disappointments mostly in the Android client. We come across many features that are helping AstrillVPN to survive and stand out in such a cut-throat VPN industry. Unlike other VPN service providers, AstrillVPN also offers tools other than security and anonymity like video accelerator. The service provider boasts more than 300 VPN servers in 49 countries coupled with military-grade encryption protocols along with unlimited bandwidth and speed, which is quite impressive right! And don’t forget the anonymous payment and live chat support, it’s entirely a good deal. The only downside we witnessed in the absence of some features in some clients and the outlook of Windows client, that’s quite creepy to look but has so many options to play with.